We took this kitchen from wood to white! 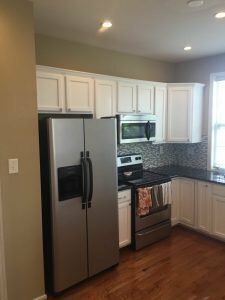 With brand new appliances, gorgeous backsplash, and a nice paint job, the kitchen was finally turning into the perfect space for our clients in Phoenixville. The only project left to complete was the cabinets. The homeowners didn’t want to spend a small fortune replacing the dull brown cabinets, so they called LaffCo. Painting and asked if we could brighten them up and save some money. Of course, with our affordable prices and top-ranked team of expert painters, we were more than confident that we could create a flawless set of kitchen cabinets without breaking the bank! Since the kitchen felt so dark with the original brown colored cabinets, we selected a bright white paint for the job. The cabinet doors were removed and the fixtures were painted inside and out. The end result is truly beautiful, and the kitchen is finally a bright, welcoming space to prepare meals for family and friends. 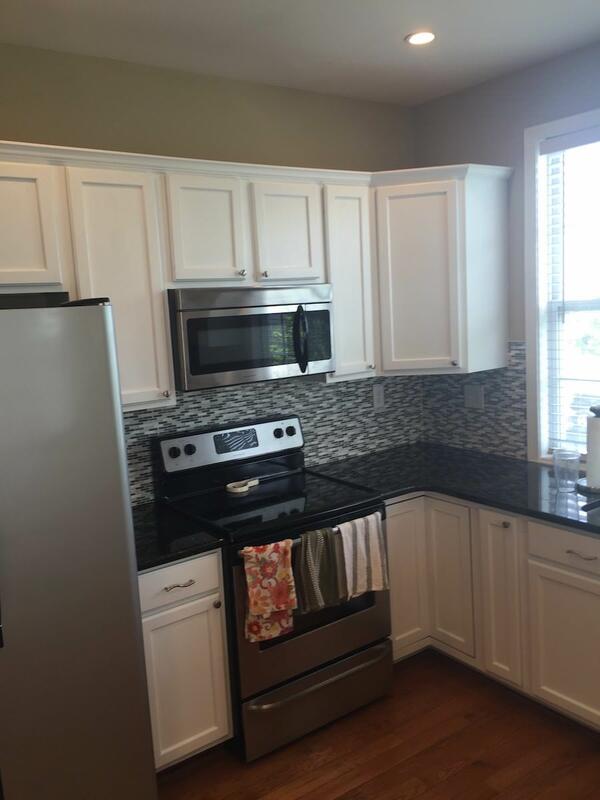 Plus, we saved our clients a bundle by painting the cabinets instead of replacing them! Click here for your free quote on cabinet painting by LaffCo. Painting.